HSS & Carbon Hacksaw Blades that we offer are manufactured under the observation of experts and thus, are dimensionally accurate. We are one of the eminent Manufacturers, Exporters and Suppliers of HSS & Carbon Hacksaw Blades. 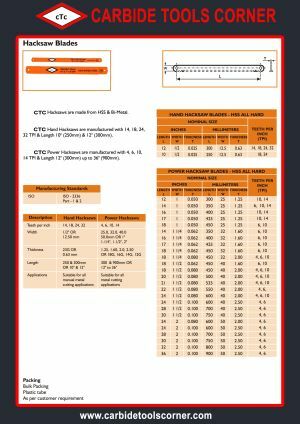 Prior to their final dispatch, our HSS & Carbon Hacksaw Blades are tested on various quality parameters. These blades can be obtained from us at competitive prices.